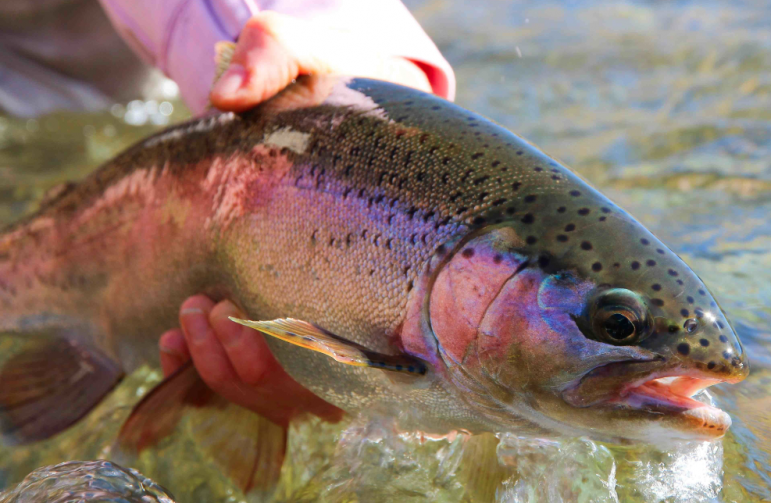 Rainbow trout are silver with a pink stripe running from head to tail. Image: Flickr. When a farmed fish escapes its pen, does the rest of the lake notice? Farmed rainbow trout in Lake Huron may outcompete their wild relatives when it comes to growth and feeding efficiency, Canadian scientists report. But they are left for dead when it comes to long-term survival. Although no fish with internal bleeding or bulging eyes have been reported by Great Lakes fish farms, a highly-contagious virus that causes such symptoms has bruised the profits of many in the industry. 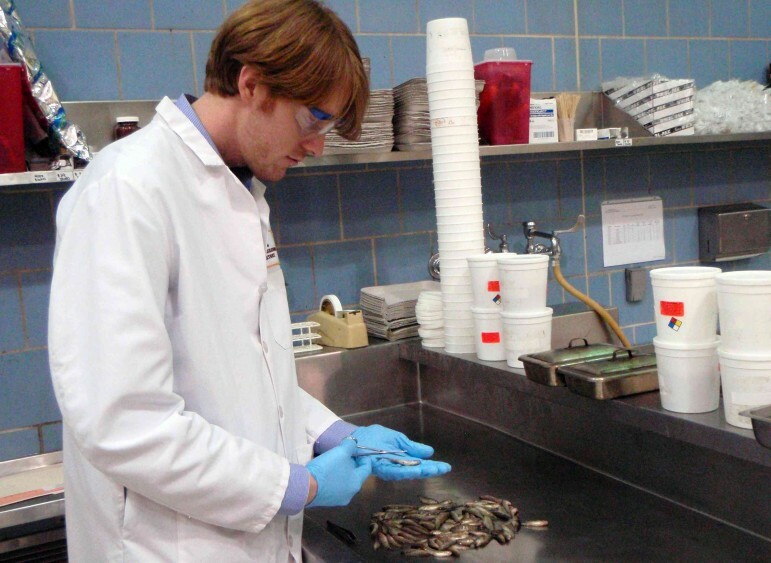 Aquaculturists hope that new management methods can combat disease risks and reform regulations that threaten a fledgling industry. Great Lakes aquaculture could become a $1 billion industry in Canada and the U.S., according to a 2014 paper. One key for reaching that potential is for the Great Lakes states to follow Canada and legalize offshore aquaculture, reports the paper that was sponsored by Michigan Sea Grant, NOAA, Michigan State University and the state of Michigan. Offshore aquaculture involves farm-raising up to several million fish in cages along the coasts of natural bodies of water instead of the inland practice of using large landlocked tanks. This allows fish to remain in their natural environment, and provides a more efficient way of harvesting them.